I spend HOURS creating houses, Im getting better and better. I would love to see all the cool houses everyone else has come up with?! Re: Show off your houses! Just to clarify, are you asking for people to post pics of the houses they've built in the other Sims games? Also can i ask a question about sims 4? Ik this isn't the right place but i asked a question before and no one noticed it. WasItAllOkay15 wrote: Which sim game? Any sim game that's not freeplay, I was just checking you were posting in the right forum. You can certainly ask a question about Sims 4 here in this subforum. I don't think you didn't get a response because no one noticed it. It's more likely that no one knew the answer. 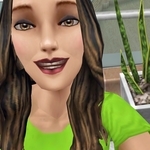 This is first and foremost a forum for the mobile game The Sims FreePlay.